One person’s experience upon meeting Morihiro Saito. Morihiro Saito was born in Ibaraki Prefecture in 1928. Hearing tales of an “old man doing strange techniques up on the mountain near Iwama”, he became a student of Aikido Founder Morihei Ueshiba in 1946, at the age of eighteen and would train under him for the next twenty-three years. His work schedule at the Japan National Railway allowed him long shifts working followed by long shifts off, allowing him to spend extensive periods training and acting as a training partner for Morihei Ueshiba as he refined his weapons curriculum. He eventually received a plot of land on Morihei Ueshiba’s property and where he built his house and lived with his wife and children. He and his wife cared for the Ueshiba’s through the last years of their lives. 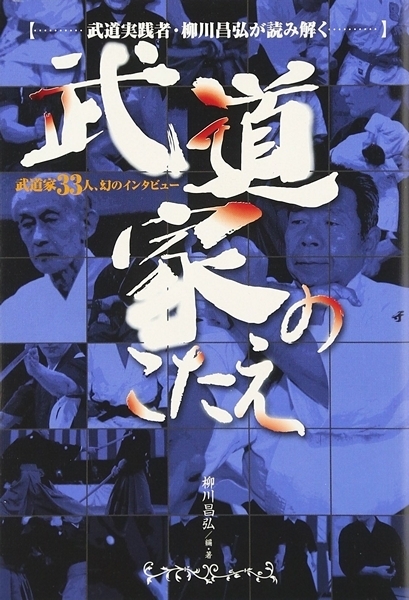 Morihiro Saito acted as the guardian of the Aiki Shrine until his passing in 2002. 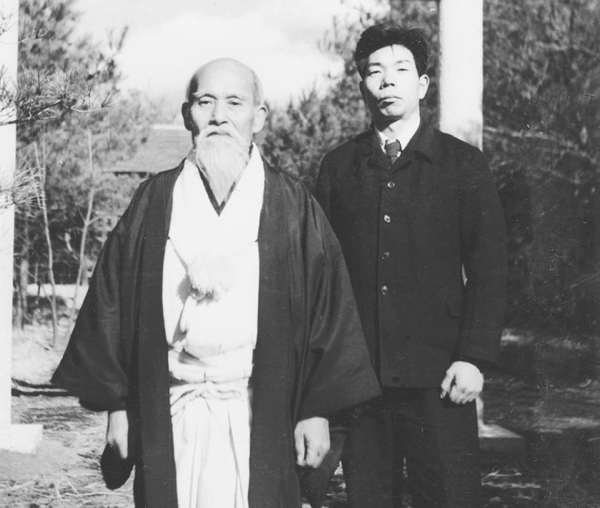 He is famous for his dedication to preserving the exact form of Morihei Ueshiba’s techniques as he was taught them during his training under him in Iwama. This is the first section of the English translation of a three part interview that originally appeared in “Answers from Budoka” (“Budoka no Kotae” / 武道家の答え), published by BAB Japan in 2006. Q: In this book we are asking those training in budo for their cooperation in giving us their opinions on their budo training, but it may take a number of months before we are ready for publication. A: Oh, is that right? It must be quite a lot of work, how many sections will there be? Q: We will divide it into four main sections. Aikido, Judo, Karate-do and Kendo. There will also be a little related to Shorinji Kempo and kobudo. A: Kobudo, that’s good. Kobudo is wonderful. Because it was since kobudo existed that Aikido was first born. Q: And it’s likely that those arts like Judo or Kendo that are called gendai budo today would not have been born without kobudo either. A: Yes, that’s right. 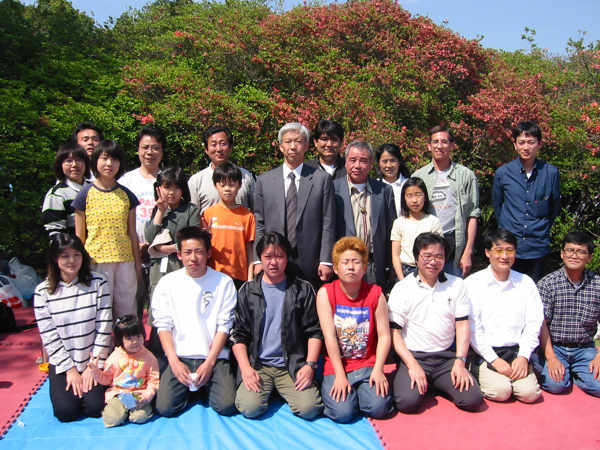 Previously, the foreigner from Aiki News – it was Stanley Pranin who, when searching for the roots of Aikido, gathered together authorities from many of the arts that the Founder practiced, such as Daito-ryu , Kashima Shinto-ryu and Yagyu Shingan-ryu for a Friendship Demonstration. Q: Was that at the Budokan? A: No, that was at the Yomiuri Hall in Yurakucho. It’s a small place. It wasn’t anything that was on a scale to hold at the Budokan. Q: I see. It would be a much bigger event at the Budokan, wouldn’t it? A: Yes, although in Aikido we hold something there once a year in May. Q: During that time in the Yomiuri Hall was that person (Mr. Stanley Pranin) able to gather information relating to the roots of Aikido? A: How about that… He is an Aikido historian – that is to say, he is investigating deeply into the history of Aikido. Q: Is that right? When was there a book about the roots of Aikido that he published? A: He published several times that year. Q: Such as the Aiki News magazine? A: That’s right. Concerning the Founder, in the Founder’s last years he went to Tokyo permanently, but of course after the war he was in Iwama continuously. Because after the war Budo was suppressed. Q: For a period of time, right? A: Yes. But in Showa year 23 (1948), when the Aikikai was reconfirmed under the law, an undersecretary named Tamura came here and secretly asked that at least a seed of Budo would be served from destruction. That really put the Founder in high spirits. The Founder was really serious about the training that started from that time. During the war he was ordered by the military to teach “Itto Issatsu” (“一刀一殺” / “One Cut One Kill”), and he went to the Army and Naval academies and the Toyama Military Academy, so it seemed that he wasn’t able to instruct in the way that he desired. Q: Ahh, was there a period like that? A: Yes, there was. 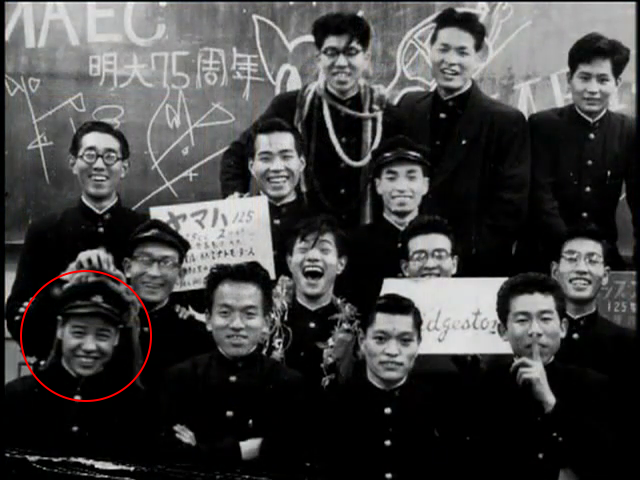 He also instructed at the Nakano Spy School. Q: Is that right? So for Morihei Sensei the defeat in the war was rather a kind of an opportunity? A: Is that so? They don’t publicize things like this very much in Tokyo, do they? Mr. Pranin from Aiki News discovered this in the countryside and gave me a copy, it was created in Showa year 13 (1938) or thereabouts. Q: So this is a book published in 1938? This is an important book, isn’t it? This bujutsu decides life and death in a single strike, so students must carefully follow the instructor’s teaching and not compete to see who is the strongest. This bujutsu is the way that teaches how one can deal with several enemies. Students must train themselves to be alert not just to the front, but to all sides and the back. In daily practice first begin by changing your body (“tai no henko”) and then progress to more intensive practice. Never force anything unnaturally or unreasonably. If this rule is followed, then even elderly people will not hurt themselves and they can train in a pleasant and joyful atmosphere. The purpose of this bujutsu is to train mind and body and to produce sincere, earnest people. Since all the techniques are to be transmitted person-to-person, do not randomly reveal them to others, for this might lead to their being used by hoodlums. 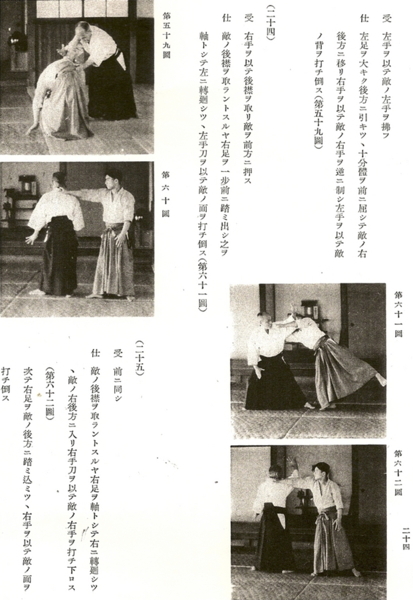 *Translator’s Note: these rules were published after the war in Kisshomaru Ueshiba’s books, but with the word “Aikido” inserted in place of “this bujutsu”. A: Here he writes some guidelines for training, such as “Training should always be conducted in a pleasant and joyful atmosphere.”. In any case, this was written during the war. Q: By the way, of the people who trained directly with Morihei Sensei, there are very few left today, isn’t that true? A: Even so, there many still remaining. Around 1952 or 1953 he started taking trips to the outside – he’d go to Kansai for a week, or travel around for about a month. Sometimes he’d also go to stay in Tokyo like this. So there were many people who were able to take the Founder’s hand directly and receive instruction. However, in my case it was a matter of time. There was land, but there was no rice being distributed. So if we didn’t grow it ourselves we wouldn’t be able to eat! So when I was able to be there physically I would help with the farming from morning to night, and after I married my wife also helped with the farming full time. We also did all the other regular household chores. Many other people came, but there were a lot of things going on, and they didn’t last very long. In the end, I was the only one left. Q: Recently the word “Ki” has become widespread in a variety of forms, hasn’t it? Q: Just what exactly is that “Ki”? Depending upon who’s speaking Ki means a great variety of things – what they call “aura” in Western terminology, or others explain it in Eastern philosophical terms such as “prajna” in Yoga. But is this something that can be seen with the eyes? A: Well, O-Sensei was also particularly strict about what “Ki” was…. The Founder tended towards religious speech, and the students would study how to express the Founder’s speeches in modern terminology. They each express themselves from their own particular positions. I’m not very good at that kind of thing… Just actual techniques. Because it is my task to receive the actual techniques of the Founder and then pass them on directly and simply just as they are. A: The way that people do Aikido now changes quite a bit depending upon the instructor. There are people doing the complete opposite of what other people are doing. Q: For example, in what way? 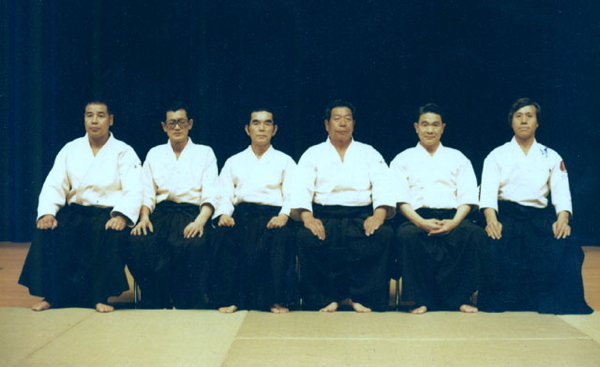 A: In our Aikikai organization, and outside of it, there are many students of the Founder. There are those who have formed separate organizations – for example Gozo Shioda-san of the Yoshinkan, or Koichi Tohei-san of the Ki Society, each of those were founded by people who came here to study after the war. Shioda-san came here surprisingly often. Tohei-san made that thing called “Ki” his foundation to spread Aikido. 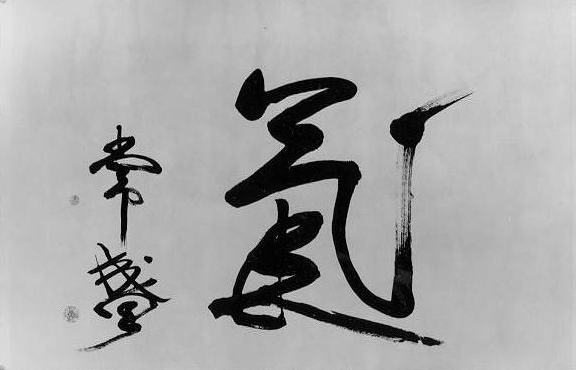 Q: Tohei Sensei seems to be doing Aikido in a separate form, with “Ki” as the foundation. A: Yes, that’s right. The core of it is in lectures, but he has created a separate Ryu and is working hard at it. He’s an Aikido 10th Dan, and people wanting to learn Aikido join the “Ki Society”, but since most of it is lectures the training is neglected. The Budo world is quite a difficult place! Q: I see. Is the training here very strict? A: Because technique is something that you can understand if you see it. People understand before they train, so they are happy, and they get the feeling that it is extremely logical. Q: Even now do you take their hands and teach them directly? A: Yes, all of them. The Founder also took the hands of the regular students here and taught them continuously until he passed away. Especially me, since I was assisting with the farming, in the morning he would teach me sword and staff privately. Q: There are many foreigners also training here, what about them? Q: Is that right? Where do they live? A: Here, or in apartments nearby. Q: That’s long term, isn’t it. A: There are those who are here for an extended period. That woman is here for the third time, she has been here since June last year. Americans, Germans, Australians – during the busy times there are people here from as many as ten countries. Well…right now we have about six countries. Q: When they come, as they don’t understand Japanese over there, do they learn a bit before they come? A: There are people like that, and then there are people who don’t understand any at all…I can’t speak any other languages. Q: When that’s the case, we’re talking about a heart to heart transmission (以心伝心) between people aspiring to the same Budo? A: One way or another, with a lot of gestures…however, it is very difficult with the French. They must not use much English. Normally, if they speak English than they can somehow communicate between each other, but somehow we have a difficult time when the French come. Also the Italians. But the young people who come from Scandinavia use English so we’re able to get by. Q: Now Aikido has mostly moved overseas, so most of the people who come must be those who have seen and heard of Aikido over there and then come to the home of Aikido to master it? A: This year it is nineteen years (at the time of the interview, 1988) since the Founder passed away, but I haven’t traveled anywhere so I have only taught those foreigners who have come here. 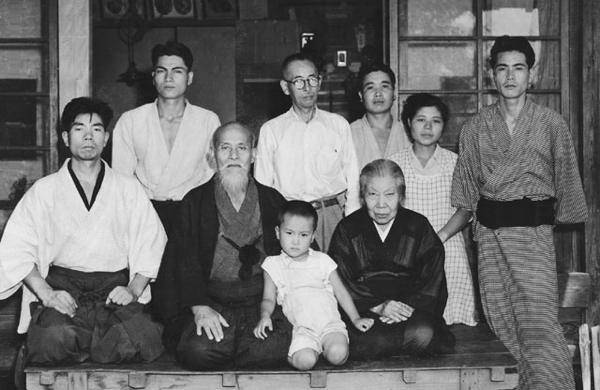 It began with those who were introduced to Aikido after the Founder passed away. Most of the Europeans would enter Hombu Dojo and wouldn’t come here very often, but while that was happening people began to come, bit by bit. When the Founder was alive here, one could not become a student without an introduction. That was true even for the local people. For that reason, the people here were a very select group. From there one person became two, two people became four, and then we couldn’t cut off the flow. However, we couldn’t accommodate them all…well, it’s good that people are coming. Q: How many people are here now? A: During training…? The evening classes have about thirty or forty people. I mentioned this mistranslation to Saito Sensei once. He wasn’t very pleased by this! Thanks for the comment Ethan! I used a well known translation for the rules, since that’s not what I was really focusing on for the interview. I agree that Saito Sensei considered this as a specific technique. Gozo Shioda (who’s actually in the 1938 book) also had two specific forms of Tai no Henko (slightly different than Morihiro Saito’s) and I’ve seen two variations from two different lines of Daito-ryu (there may be more, of course). Hello Chris. I have great respect for the in-depth work you are doing. Tai no Henko (or Tai no Tenkan – as the Hombu usually call it) is, as I’m sure you know, a core technique in the Iwama lineage. Saito Sensei taught it as the very first technique in each and every class, stating that he was continuing the way that O-Sensei always started the classes in Iwama. This tradition seems to have not taken hold elsewhere. And I believe that there are very important things to be learned from this technique – on both external as well as internal levels. It wasn’t for nothing that it had pride of place in each class! thanks for the interview Chris and all the work done in general on the blog. It is indeed tai no henka which is told to be practiced first. As often, the most important is shown first. It was so important in the Founder’s mind that he had it pinned on the wall of Tokyo’s dojo if I remember well. I agree that it’s “more than a technique” – but as I said above, this particular article wasn’t about analyzing “Budo”, it was just something that Morihiro Saito mentioned in the course of the article. In any case, I amended it to be more exact since it seems to bother people – “first begin by changing your body (“tai no henko)”. But…I’ll note that when the familiar practice is actually pictured in “Budo” it is called “tai no henka” instead – that will have to be another article, I think.